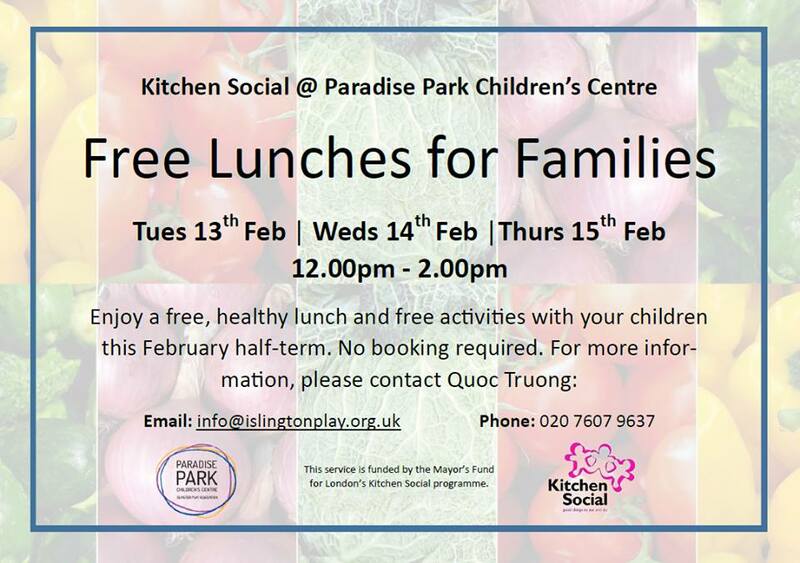 Paradise Park Children’s Centre will be offering free lunches to families over the half-term on Tuesday 13th, Wednesday 14th and Thursday 15th February. No booking is required, just come along on the day. This service is provided thanks to funding from the Mayor’s Fund for London‘s Kitchen Social Programme.